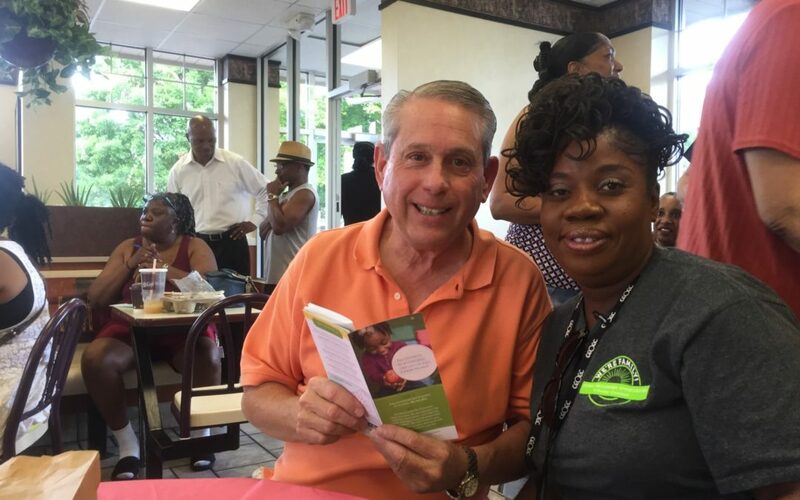 The team at the Glenville Neighborhood Opportunity Center, located at 10529 St. Clair Avenue in Cleveland, is spreading the word about the Council for Economic Opportunities. 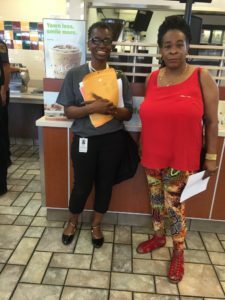 Earlier this month, the team met at neighborhood hot spot McDonald’s Restaurant with Glenville community members, Councilmen Kevin Conwell (Ward 9) and Mike Polensek (Ward 8), representatives from the City of Cleveland Community Relations department and members of the police department to talk about how the Council is helping people in the Greater Cleveland area. The Council staff talked about the services we offer, and provided Glenville residents with information about upcoming personal and professional development workshops and job and career trainings. Check out some additional photos from the event below. A great time was had by all!